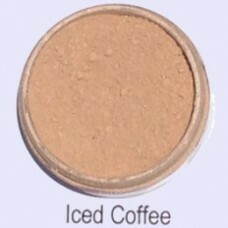 Slightly darker than Cool Beige and Canvas Foundation; is best suited for medium tanned skin. Remove the clear seal on the sifter and tap some of the mineral foundation into the container cap. With the brush (kabuki/dome brush) take a small amount of the minerals and evenly apply a thin layer in a circular motion. You can add more layers until desired coverage has been reached, but do not overwork the mineral makeup, your skin can become uneven looking or shiny from to much manipulation. Apply the mineral cosmetics over your entire face, neck and eye area. (Make sure your moisturizer has been completely absorbed before applying the foundation; mineral cosmetics apply smoothly on lightly moisturized, but air dry skin.) Mineral makeup foundations warm up with your skin temperature and blends in naturally.